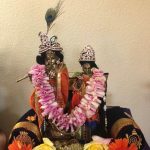 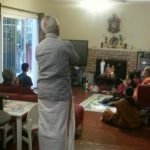 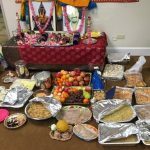 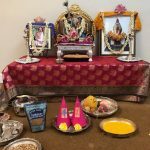 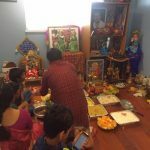 Sept 3: By the immense grace of Sri Swamiji, Bay Area devotees were blessed to celebrate Govinda Pattabhishekham right after Janmashtami on Monday, September 3rd 2018 in a devotee’s house in Pleasanton. 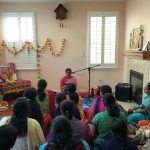 Satsang commenced with Namasankirtan, followed by Parayanam of Govinda Pattabhishekham related chapters from Srimad Bhagavatam. 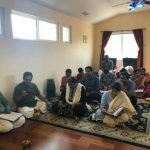 Following the parayanam was a beautiful session of Madhurageetham renditions glorying the auspicious occasion of Govinda Pattabhishekam and the chanting of divine name Govind. 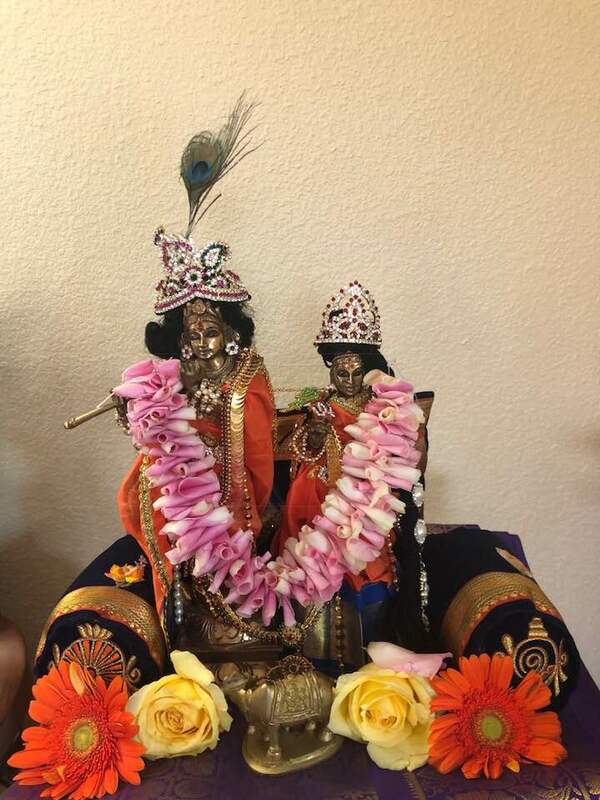 Annakotstav was performed to Thakurji. 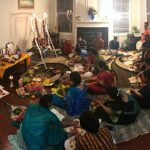 Close to 50 devotees attended the special satsang.